key to our Spanish cuisine. We hope that you enjoy our food as much as we do... a long with a range of drinks including cocktails, gins and more. LUNCH at La Tasca! 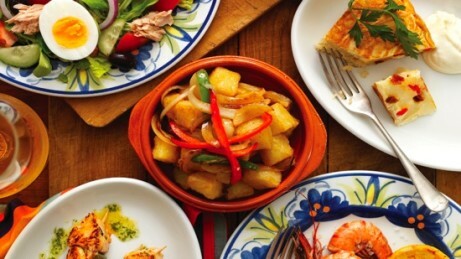 3 Tapas & a Drink - ONLY £9.95!